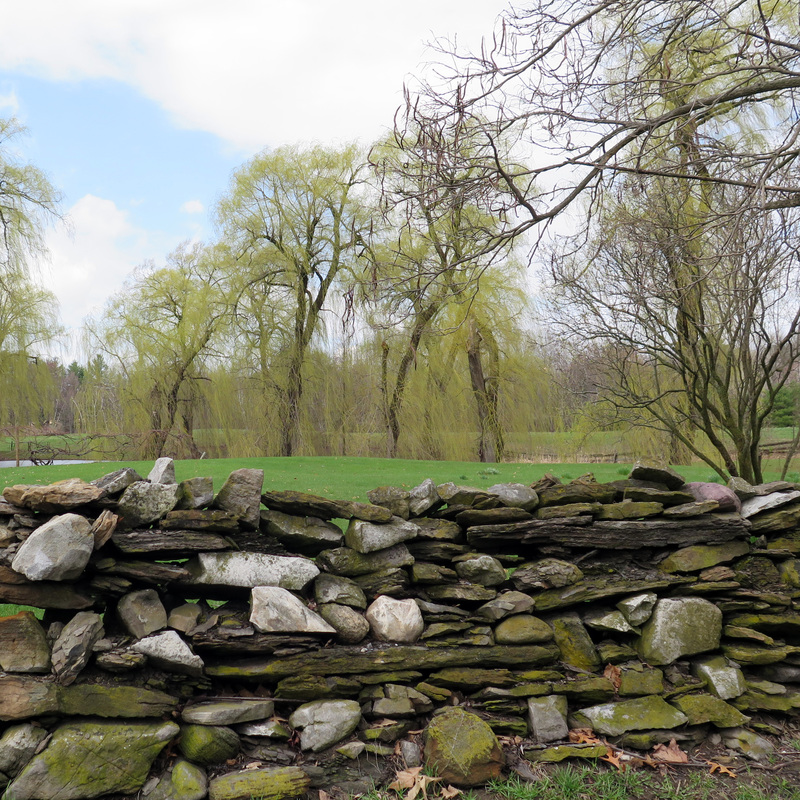 Finally we see green in Upstate New York. We had some rain the past two days. Farmers are busy. I made to my garden this week to plant radishes, salad and peas. 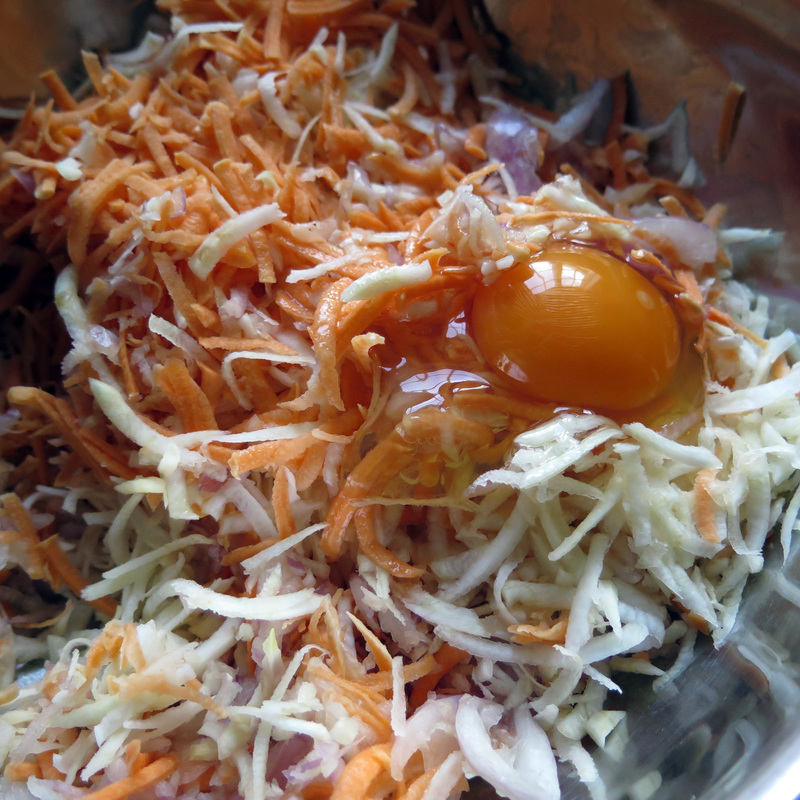 Still, we are eating in season, the very last produce from the button of our freezers and ferments. Today I visited the Denison Farm and they had left: celeriac, sweet potatoes, and shallots. There is no better way to cook for me than to use what I have in hands. 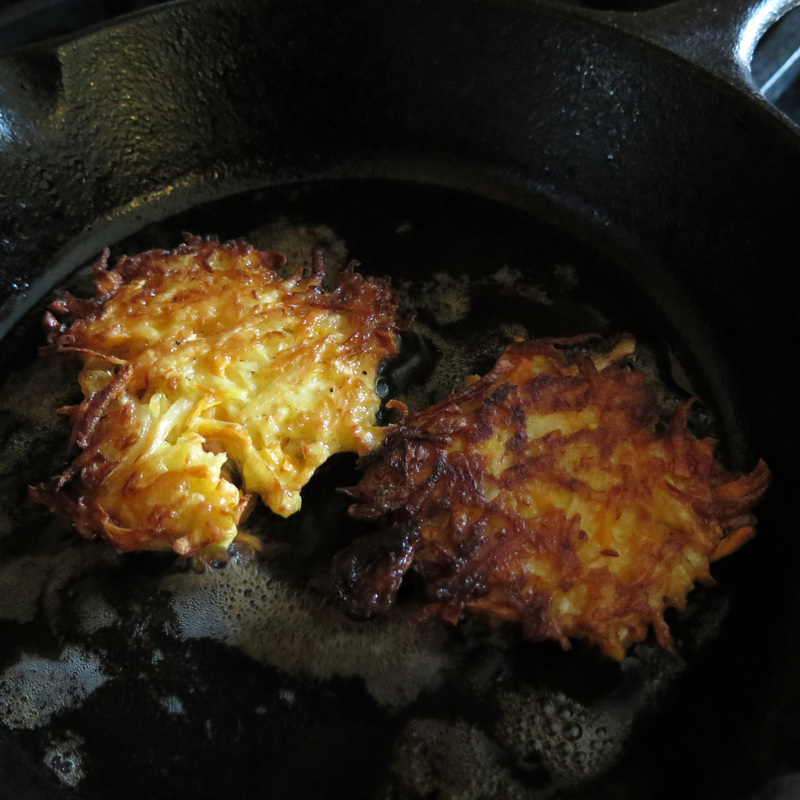 I thought, uhm, I can make slaw, but cakes like latkes were perfect with some fish tonight. I see our sorrel coming up and I can’t wait for the asparagus… soon, very soon. But for now, these delicious precious local produce are still available and you may even get a good deal if you wish to buy extra to ferment. Enjoy! Mix all ingredients in a bowl while heating up a couple tablespoons of high heat oil on a medium frying pan. I used a cast iron. Fry each cakes for about 1 minute on each side on medium heat. We enjoyed with some sour cream. This sounds so delicious. And simple.Just the way I like to cook. Thank you Susan, simple delicious and still eating in season! I am so ready to eat Spring produce.